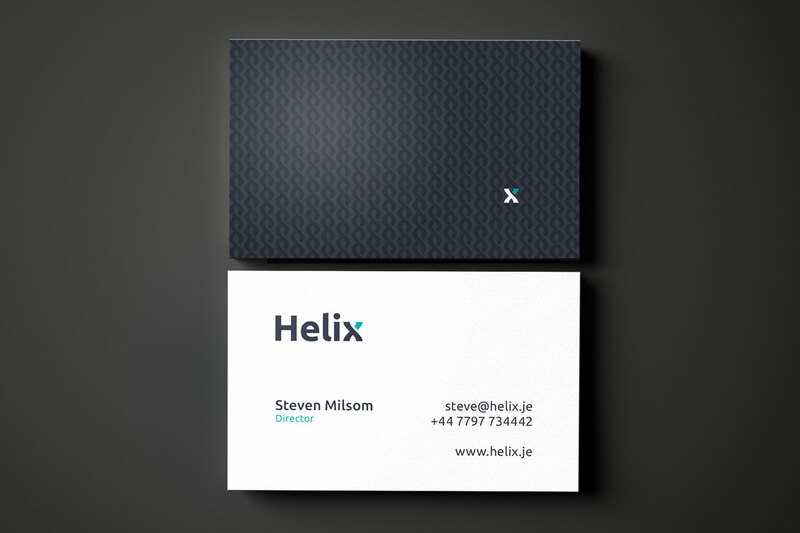 Helix is a company that provides networking skills and assistance to help businesses in the Channel Islands run cost-effective, stable and secure enterprise computer networks. Based in Jersey, they contacted Inkbot Design to look at creating their new corporate identity design. 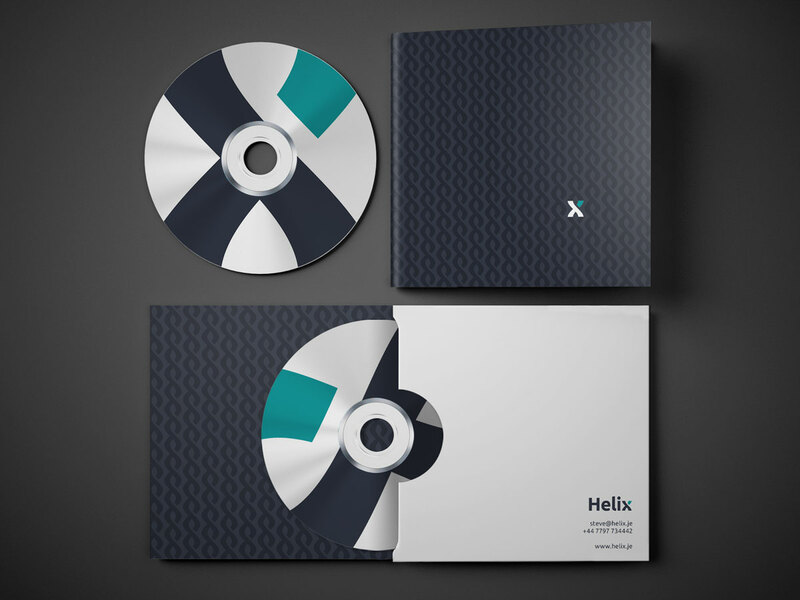 With most of their clients being medium-sized businesses who have already got a significant investment in computer networks, the Helix brand identity needed to stand out whilst appearing modern, professional and reliable. The resulting custom logotype design with the embellished ‘x’ appears simple at first, but it is only part of the much larger brand ‘ecosystem’. When replicated, the x creates an interesting pattern, symbolising the double helix of the DNA. Secondly, it has the overall appearance of ‘chain-mail’, relating perfectly to key themes of security, strength and protection. The name is clear, crisp and modern yet paradoxically holds a stable conservative feel at the same time. The splash of colour for the top right part of the X hints at something a little out of the ordinary and creative. Looking for a Graphic Designer that specialises in Corporate Identity Design?